Vanderbilt University has achieved the goal of providing students freedom of inquiry, where they have scope to openly discuss their ideas without any inhibitions, and experiment with them the way they would want to. This highly creative and productive environment becomes a guiding factor for students while they work towards achieving their goals with enthusiasm and excitement. Apart from the academic education, students are also given the freedom to engage in research, and the highly qualified faculty helps them in every way possible. Students are treated as individuals in their own right with respect and understanding from the staff and faculty, and it is this complete freedom and respect that create a love for learning in them, and ensures they reach great heights not only in their academic pursuits but also in their future careers. 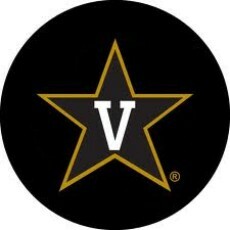 It was in the spring of 1873, when Commodore Cornelius Vanderbilt, a wealthy shipping and railroad magnate was in his 70th year that he decided to gift $1 million towards building the Vanderbilt University. His aim was to help the South rebuild after the highly destructive war as well as to bring the North and the South together, as he believed that all sections of the community should live in peace. During the first 40 years, Vanderbilt was under the Methodist Episcopal Church, South. In 1914, the Vanderbilt Board of Trust severed ties with the church because of some disputes with the bishops. Today, it is a large private research university that comprises of 10 schools and a distinguished medical center. The Vanderbilt University has about 6,500 undergraduate and 5.300 graduate and professional students. It offers undergraduate programs in the Liberal Arts & Sciences, Education and Human Development, Engineering and Music, as well as a full range of graduate and professional degrees. The schools of Law, Medicine, Nursing and Education are highly rated and are among the top 20 in the nation. Students gain world-class education with these highly regarded programs. It has achieved several distinctions and is ranked by the U.S. News & World Report as one of the 20 top universities in the nation. Several of the universities disciplines and programs rank in the top 10. Fortunately, this high standard of education available at Vanderbilt University can be accessed by students from anywhere in the world without necessarily having to visit the campus. The university’s e-learning online platform customized their programs for distance education students in such a way that they find it no different from attending classes on the campus. All sorts of research materials are available for students and a tech support team is always in attendance, making it a breeze to complete their degrees online. Majors offered online are at the Master’s level in Nursing and students can also specialize in Health Systems Management and Clinical Research Management. At Vanderbilt, students are introduced to a unique education system that is a combination of liberal arts curriculum, cutting-edge research and learning at the distinguished medical center. Students tailor their educational goals to meet their professional goals. They have a chance to collaborate with researchers in solving complex questions related to our culture, health and society, gaining immensely in the process. Have you studied at Vanderbilt University? Please provide a brief review of your experience at Vanderbilt University in the comment section to help other readers!